Toray Industries today announced that it acquired EU Type Examination Certificate (CE marking), which indicates conformity with Personal Protective Equipment Regulation (EU) 2016/425 for products sold within the EU area, for its chemical protective clothing LIVMOA®3000 series (LIVMOA® Highly Breathable Type, P/No.A-01-001) on January 24, 2019. With the acquisition of the certification, Toray intends to formally enter the European and American markets. 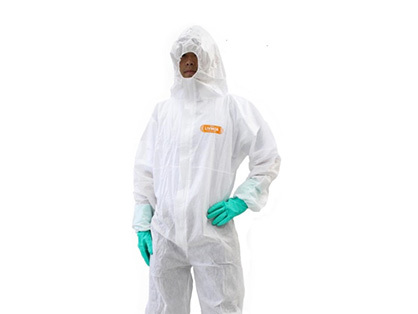 LIVMOA®3000 series is compliant with the JIS T8115:2015 Type 5 standard for chemical protective clothing, which has to be worn when engaging in asbestos removal work, etc. Along with having high protective properties and high breathability*1, which helps it to reduce the discomfort from heat in hot seasons or in high temperature, high humidity work environment and maintain comfortability in wearing it, and this has brought it high acclaim ever since its launch in Japan in 2017. Toray lists Business Expansion in Growth Business Fields as one of the basic strategies of its medium-term management program Project AP-G 2019, and as part of that initiative it has been pursuing business expansion in the life innovation field which aims to lighten the burden and improve the comfortability of workplaces using advanced materials. With the acquisition of CE marking, not only will the company be able to accelerate the global expansion of LIVMOA®3000 but also realize further improvement in safety and comfort when working while wearing chemical and other protective clothing.